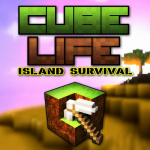 Minecraft clone Cube Life: Island Survival is coming to the North American and European Wii U eShops at the start of June, publisher Cypronia has told us. The game's standard retail price will be $14.99 / €14.99, but a special launch discount will be applied that brings the cost down to a more reasonable $6.99 / €6.99. Are you looking forward to getting your hands on this title? Let us know by crafting a comment of your very own below. Hmm, if it's anything like the Minecraft clones on the Xbox 360 indie marketplace, it'll do good. I feel really bad for the UCraft guy right now. For 60% off I'm willing to give this a shot! Can't wait looks great to me I will buy it!!! You better buy it quickly because Microsoft lawyers won't be happy seeing this. "60 percent off at launch"
Poor TW, after that last editorial this must be killing him. Looks pretty - like JJ Abrams designed it - but I don't get the "whole new experience" part written over killing spiders w/ bows and arrows. I don't see anything new here except the reflective water and lens flare. I'd be so happy if they made a level editor in Splatoon and all these clones went away. Poor Wii U install base can't kill Minecraft as it's on almost as many electronic devices as Netflix, but at least the Wii U world could have a real sandbox game of it's own. Why the launch discount, dude? The general demand for MineCraft on WiiU is very large, so the regular price should be sufficient right off the bat! Have more faith in your game! I can't play Minecraft for a minute before getting bored, so I definitely will not bother with this. And besides... that water... it's pretty ugly. LooKs like good fun. I'm sure it will do well. Internet rankings can be fun although I would rather have some co-op online. I know minecraft is a great game, but would you really need the likes of an entire separate development studio like Tantalus to port a game with a relatively simple graphics scheme to the Wii U? I'm late to the party, maybe the MineCraft trainwagon has left already, but this will be my chance to get into it finally. And for that discount, I'll be on it day one. this looks pretty good but if there's no multiplayer i doubt ill bother. i just dont have nearly as much fun in single player mc. @WiiLovePeace Same here, glad to see it's getting a good discount. I didn't care much for Cube Creator 3D as it seemed too simplified. Hopefully this one offers a little more. But for $6.99, I will likely be picking it up for both Wii U's in our home. I really hope it is good. Some of Cypronia's previous efforts got low review scores, like 2/10 for Angry Bunnies. Will check out the review first. @Kaze_Memaryu: Hush!! LOL. My kids have been clamoring for Minecraft, but fear they would turn into iPad zombies. This will certainly do, esp. at $7. Is that slow-mo or poor framerate? Sweet may by this, won't buy the real thing if it comes to U since you know its owned by M$ and NTY forget that crap. @Grumblevolcano ; I think it might be Destiny. Its Straight Right and not Tantalus. Tantalus is a sister company of S.R. I want your opinion. What do you think is better? Battleminer, Cube Creator 3D, this game, or UCraft? I realize this game and UCraft aren't out yet, so you can make that a separate category. I'm going with Cube Creater 3D and this game. I only want one minecraft clone, though. So I'm trying to decide which one to get. Then again, if I get Cube Creater and this game, that would be one minecraft clone on the 3DS, and one minecraft clone on Wii U. Is the lackluster water shader, dumb shark design/animation, and dropping frame rates apart of this new experience? Again, why no UK pricing? How can people rave over this mess and HATE UCraft? The trailers of UCraft point to it being at least slightly unique. @Kaze_Memaryu Thank you for your opinion. Let us explain why we use the launch discount. We have very high faith in our game. And we also value Nintendo community. The first version which will be released in 2 weeks is quite complex with lot of content compare to our competitors. But it does not include multiplayer and there are still many features we would like to include. We have many new ideas and you, players, have them, too. We would like to hear from you and implement best ideas you suggest. Now we see, that many of you are asking for multiplayer, so we have just started to do multiplayer modes. If many of you want 3rd person view, we will include. We know that general demand for block building genre on Wii U is very large. We could sell it for $14.99 and when sales drops, lower the price like others do and do not care anymore. There are many articles about problems with pricing games on eShop and discounts, maybe you know. So we try something new. Our strategy is different, because... We are not just Nintendo developer, we are Nintendo players and we are a part of Nintendo community. We own all Nintendo consoles, we wear Tshirts with Mario... so our strategy is different. We offer 60% launch discount, then work with community on future updates, to make Cube Life the best of its genre. If the game has multiplayer and more features that now it has, we will sell it for the full price $14.99. @TromboneGamer Sure it is not. Water reflection fps is low, because game fps is high (30-40) and what you see is a slow-motion video effect, not dropping frame rates. Dumb shark design/animation - many people like it and call it "minecraft style". You realize a new experience when you try to play such game genre on the Gamepad. Thanks for your comment, anyway. @Cypronia Well, that changes a lot! So, if I understand it correctly, it's more like an "early-build" price? In that case, my criticism is revoked. Under that context, it's actually a very fair and open decision! @Cypronia Ah I see. I'm not sure the argument for the sharks is very good, but it's very honorable of you to respond to the criticisms had here on this article. For now I'll wish you the best and hopefully people will attest to a quality experience upon release, Good luck! @TromboneGamer No problem, we understand some people like that style, others not Thank you for kind words! I really enjoyed Forgotten Legions so will probably check this out. Cypronia are my favorite. Well. You sold me. Even if it's a sweet lie, saying that you're Nintendo gamers and care about Nintendo gamers is enough to convince me to buy the game. Thanks for supporting the Wii U! 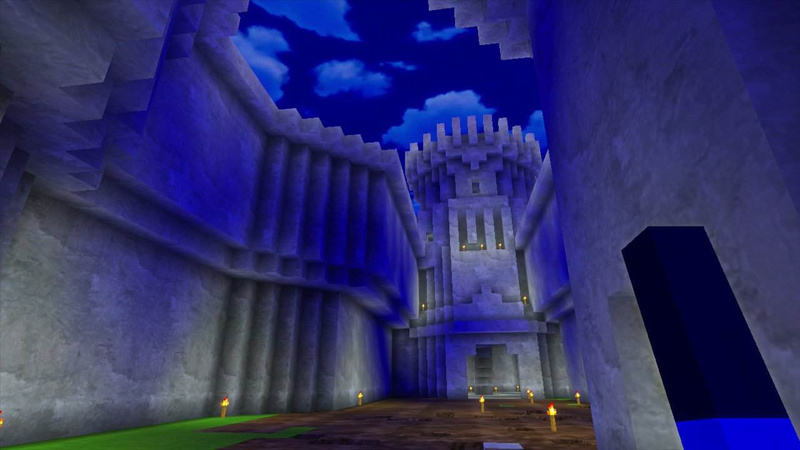 Even if it's just a Minecraft clone, that doesn't mean it won't be awesome. I'm looking forward to this, for sure. Well at least this game has a water shader. It simply looks nicer than Minecraft's water (to me). I also like the lighting system so I'm sold. I played "Minecraft for free" on PC for a while and liked it so I will try this out. Call me what you will, a soft progressive or liberal or whatever, but I hate the fact that all the non-animal bad guys are brown people. Makes me feel some type of way. Granted, it is an island they're on, presumably a tropical one, but still, I don't like it. Aside from that fact, I'm glad you Nintendo fans get a game like this. I've been wanting Minecraft to come to the Wii U, the MOST OBVIOUS HOME for the game, even moreso than PC, but that dream was dashed when M$ bought Mojang. Oh, well. This will have to do. @Cypronia Good job you guys. The game looks solid to me. I hope there is a lot to keep the Nintendo fans happy for a long time. @Cypronia Cheers, pal, will defo get it day one. I'll wait for a review on this one, but I don't think I'll be avoiding it for long at $7. 2) There are 2 parties. Cannibals and Local inhabitants. Cannibal are aggressive, they attack everybody. Local inhabitants are peaceful, it is up to you if you act as a good person and trade with them, or you can steal stuff from them or even fight. In that case they will fight back, of course. We offer a freedom for the players, they decide what they want to do! I just downloaded this game, and I love it, except for one thing. No inverted controls!!! I'm trying, but my brain is wired for flight stick controls. Please patch this soon! Well, is there a redstone like system or not? If not then you should defanetly make it! redstone is electricity in minecraft! Please! @Cypronia please add a redstone like system! Redstone is electricity in minecraft! oh and also, will each update cost money? And yes, the price will be raised when updates are available. But, they will be free for all who purchased game at launch promo price. will this game ever be available on the e shop for Australians? There was NO launch discount in the EU i bought the game yesterday but do i get free updates or do i need to pay for them? remember: the more time you spent on the updates, the better they are and the more you get! Stay awesome and please add these features!